Mepore Pro is a moisture proof, self-adhesive absorbent wound dressing. It is a breathable dressing with an outer film layer that protects the wound from water and contamination. Mepore Pro is comfortable and easy to work with and offers gentle yet secure protection while minimizing inconvenience to patients. 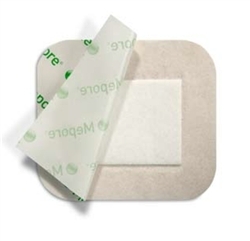 Mepore Pro features an absorbent wound pad. It also has a soft, elastic, and non-woven polyester backing film that is breathable, bacteria proof and waterproof. The polyacrylate adhesive is a skin friendly, water-based, and solvent-free. The low adherent wound contact layer minimizes the risk of adherence to the wound.